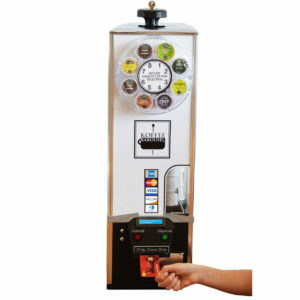 Enjoy the convenience of a table-top vending machine that operates by credit card! 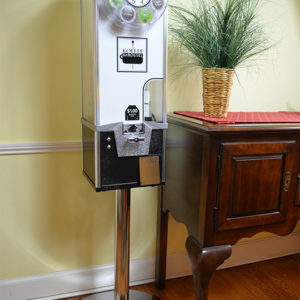 The model KKESCC1 accepts all major credit and debit cards and offers the flexibility of vending at any price you desire. 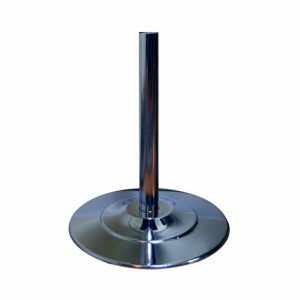 Using cellular technology, the machine will work anywhere that your cell phone does. 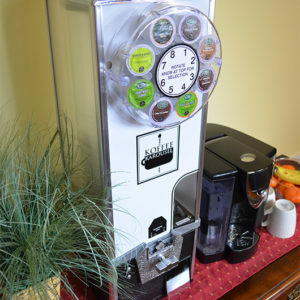 Simply fill it with K-Cups, plug it in, and it's ready to vend! Since this machine is provided as a loaner machine by KK Manufacturing, you never have to worry about the cost of replacement parts or service. We take care of it all for you. 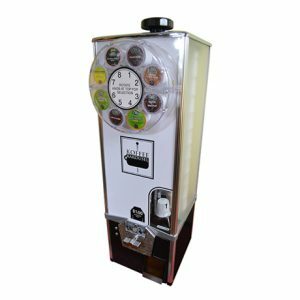 At the end of every month, KK Manufacturing will mail you a detailed statement of all vending transactions that the machine processed and provide you with a check for the proceeds you made. Please review and accept the KOFFEE KAROUSEL™ LOAN PROGRAM terms and conditions and your machine will soon be on its way to you!